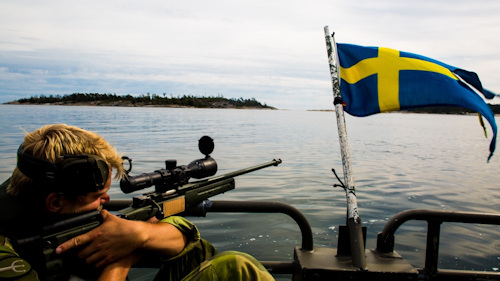 In the wake of the media coverage mainly due to its migration policies and its exceptional Welfare State, however, the important geopolitical and military role it has always played in Scandinavia and the Baltic Sea has been omitted from Sweden. Great military power in the seventeenth century (Stormaktstiden), as well as holder of a large empire that at its peak included all of Finland, Estonia, Ingria, Karelia, Livonia, and small enclaves in northern Germany including Pomerania, from around 200 years Sweden has adopted a policy of non-alignment in international relations. It was the age-old conflict against Russia, which culminated in the battle of Poltava in the 1709, to determine the end of great European power. The next 100 years were spent by Stockholm in an attempt to regain the territories and the lost prestige, but ended up worsening the situation, and to surrender to Finland in the 1809 also Finland, on which he had control at least since the thirteenth century. Nevertheless, mindful of the ancient glories of its kings Gustavo Adolfo and Charles XII - who died in battle, and both among the greatest European military geniuses and innovators in history - and given its delicate geographical position and neutrality in international affairs, Sweden has always maintained a particular focus on military issues, in addition to a certain prominence in the Scandinavian region in political terms. This led Stockholm to a policy of equidistance and cautious balance with the main regional and world powers, while developing a largely independent national war industry - the Saab with its cheap but lethal fighter-bombers. Gripen E and anti-tank rocket launcher Carl Gustav (photo opening) - and an efficient and cutting-edge military tool. Geopolitical role and military leader in the Baltic Sea after the fall of the Soviet Union and the annexation of Crimea by Russia, was resent, bringing the American agency of geopolitics Stratfor talking about "reborn Baltic power"1. Stratfor in fact, it is known that in geopolitical terms Sweden has never found itself in a better situation, being now surrounded exclusively by friendly and / or allied countries, thus ensuring not only its own security but also all the advantages deriving from being able to exercise its own economic, demographic and technological primacy on their neighbors. In particular on the three Baltic countries, which look with admiration to their northern neighbor, and on which Swedish banks have a well-established domination2. In addition to the financial and economic aspect, Sweden also has an advantage in terms of energy and intelligence, given that most of the submarine internet cables as well as the 7 power lines in the Baltic Sea are all pivotal in the Scandinavian country3. 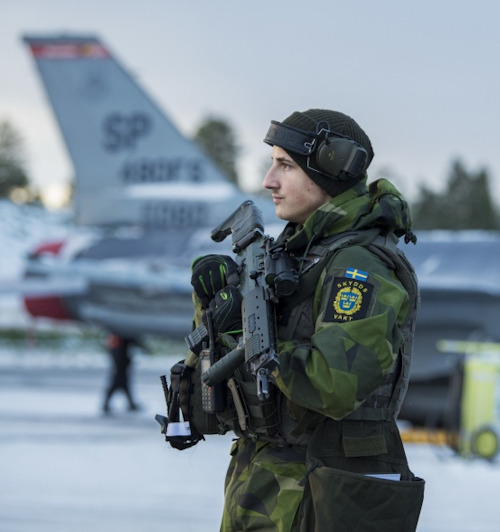 In more military terms, the "return of Sweden" is mainly expressed in a strengthening of its military capabilities and in a greater collaboration between its own armed forces and those of the NATO countries, the United States and the United Kingdom above all, and those of the Nordic neighbors. , marking in this way a clear break with the past. If, in fact, the policy of neutrality has so far avoided the immense loss of human lives and the material destruction that the great wars have brought in Europe in the last two centuries, the recent annexation of Crimea by Russia, in addition to other minor episodes such as the Continued trespassing of Russian bombers into the Scandinavian airspace has awakened the atavistic and never-ending Swedish fears on its eastern neighbor. And although a direct conflict with Moscow is still considered unlikely, Stockholm could still be involved in the context of a broader war between the Western bloc and Russia. Besides the notorious Ukrainian crisis zone, it is in fact the three small Baltic countries belonging to NATO, with their remarkable Russian minorities and of which Putin said he was the guarantor4, to worry more about American and European officers. Should be invaded - even here the conditional is a must for now very low - and Russia close the passage of Suwalki, it would be almost impossible for NATO to reconquer the lost territories. Hence the geographical importance of Sweden and in particular of the strategic island of Gotland, an essential outpost to send reinforcements to the Baltic countries, and more generally to any conflict in the Baltic Sea. For this reason, in the 2017 Sweden has remilitarized the island, well aware of its value, especially if Russia decided to occupy it to deploy anti-missile batteries ground-air and fighter-bomber of the latest generation, thus obtaining a strong tactical advantage. 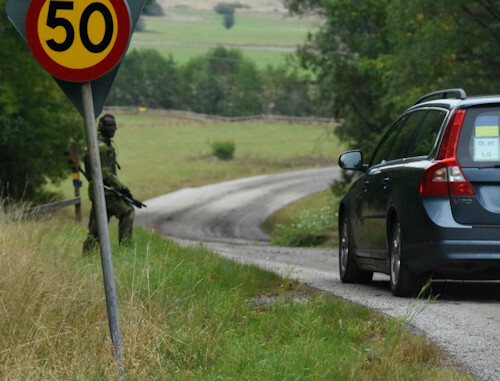 However, for the time being, the Stockholm government has only opted for a stronger partnership with the NATO countries, explained above all by participation in joint military exercises such as Trident Juncture 2018 (photo), and a progressive integration of its armed forces with those of its Nordic neighbors, but without formally entering into the alliance. In the 2017, for example, together with the Netherlands, the other three Nordic countries and the three Baltic republics, Sweden has founded the British-led Joint Expeditionary Force (JEF) capable of deploying a shipping force of 10 000 soldiers in case of need (read: clash against Russia)5. In addition, the Scandinavian country has also signed an agreement with Norway to exchange information on air traffic, with particular reference to the activities of Russian bombers, while with Finland it has established a joint naval body as well as a partial integration of its forces areas , thus becoming a real multinational force6. Thanks to this pragmatic and cunning approach, Stockholm is thus able to enhance the operational and combat capabilities of the armed forces, while allowing it to maintain its autonomy in foreign policy, aware of the fact that even without a formal adhesion to the armed forces. Alliance Atlantica (option among other things strongly opposed by Moscow), in case of confrontation against Russia, would still receive Western support. Help, however, would take months to materialize. This is why, in the 2017, the largest center-right and center-left Swedish parties have agreed to increase the military spending of 1 billion dollars in the subsequent 3 years up to 20207, while from July 2018 the compulsory lever has been reintroduced8, with the aim in both cases of increasing the number of effective soldiers and military means, considered not sufficient at the time in case a war broke out. In terms of national fighting capacity instead, in addition to the impressive exercise Aurora (photo) held in the 2017 which saw the employment of over 19000 Swedish soldiers and the participation of military units of other 7 nations including the United States9, Stockholm in the 2015 decided to reintroduce the system of "total defense", already successfully employed during the Cold War, and consisting in a greater inclusion of citizens in the national defense. This envisages a long and complex planning and synergy between the civil and military sectors in order to make society more resilient both in terms of the various daily threats, in particular against cybernetic attacks and psychological warfare, and in the event of an open war.10. Exemplary when in the 2018 were distributed over 4 millions of books and leaflets to each Swedish family, which explained what to do in case of crisis and / or war. "We will never give up. Any information regarding the termination of resistance is to be considered false ", reads one of the sentences11. Basically, given its history, geographic location and its resources, Sweden is a natural geopolitical and military power of northern Europe. However, precisely because of its history (read: defeat against Russia) and the shortage of resources in the long-term (it has a population of only 10 million inhabitants) Stockholm struggles to get out of its national fence and take that ( seeds) natural leadership that many would wish for. The risks of incurring a war after about 200 years of peace are in fact not taken lightly by politicians. However, slowly and cautiously Sweden is moving towards greater protagonism. Significant and historical value is the official declaration of solidarity released by the government a few years ago: "Sweden will not remain passive if an EU member state or a Nordic country suffers an attack or a disaster. We expect such a reaction if Sweden is hit. Sweden should therefore be in a position to give and receive military support "12. You just have to understand what they mean by military support. Hopefully not that given during the Second World War.